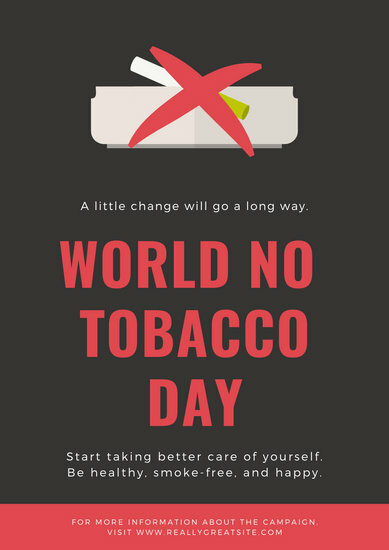 Inspire and motivate people towards healthier lifestyles on World No Tobacco Day through a well-designed poster made with Canva. 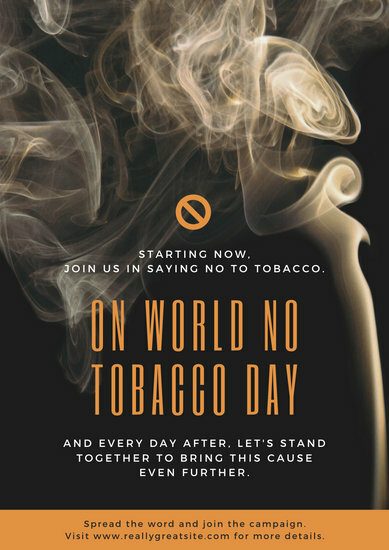 There's so much each of us can do to put an end to tobacco use. 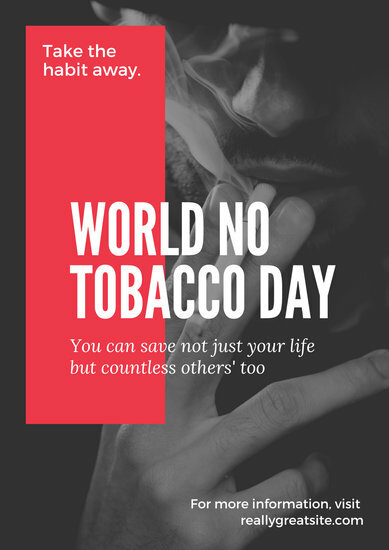 Every year on May 31, World No Tobacco Day is celebrated to inform the public on the dangers of using tobacco and what we can do to have a cleaner and healthier future. 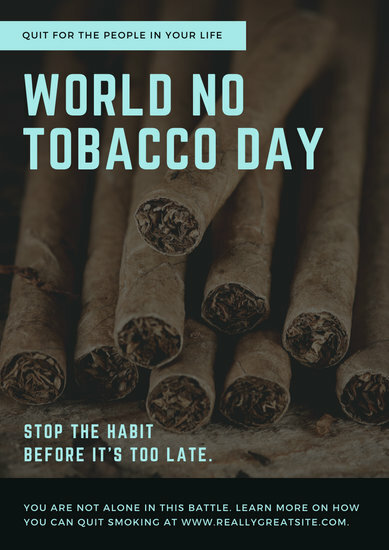 The World Health Organization started this global campaign in 1987 to prevent diseases and deaths caused by tobacco and to hopefully discourage everyone from using it. 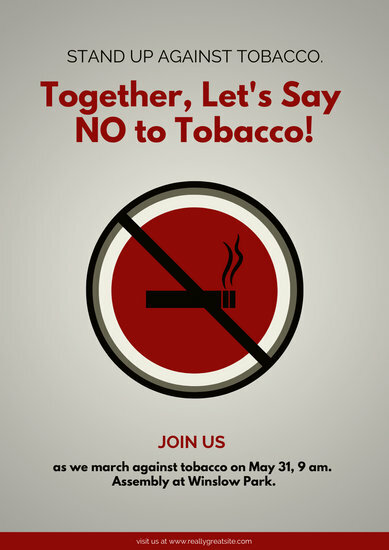 You can play an important role in spreading awareness by setting up events that shed light on this issue. 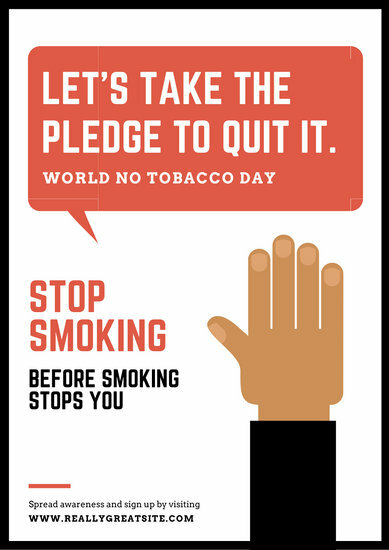 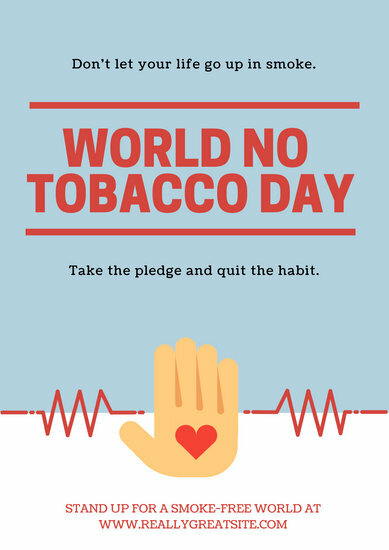 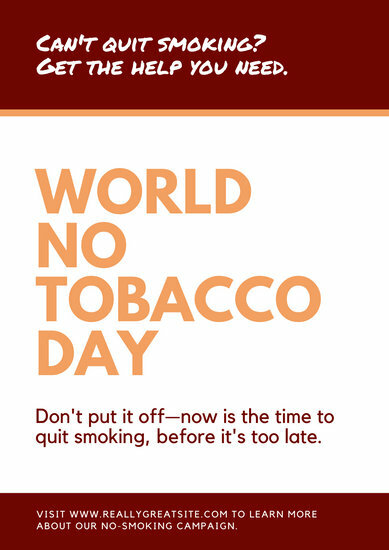 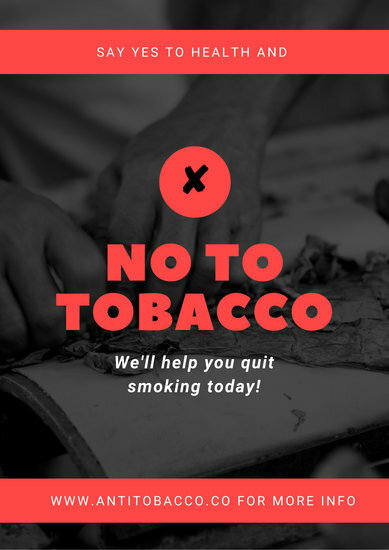 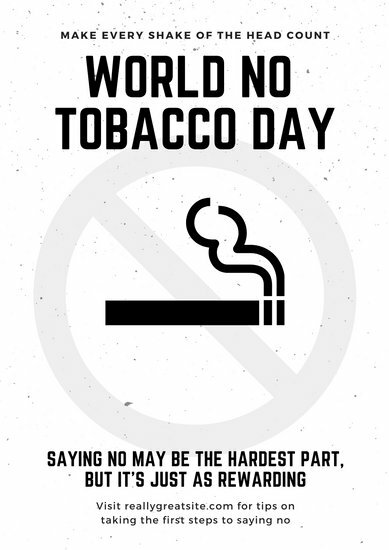 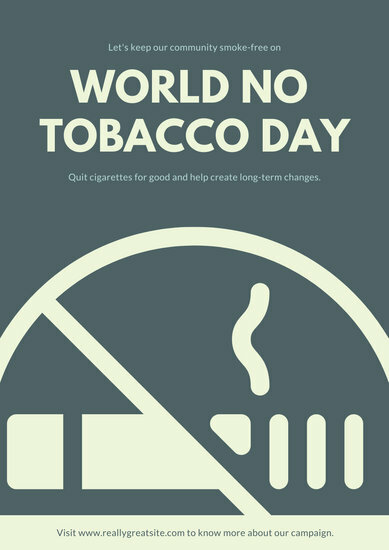 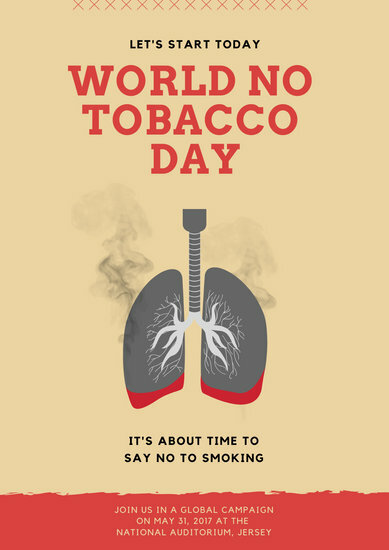 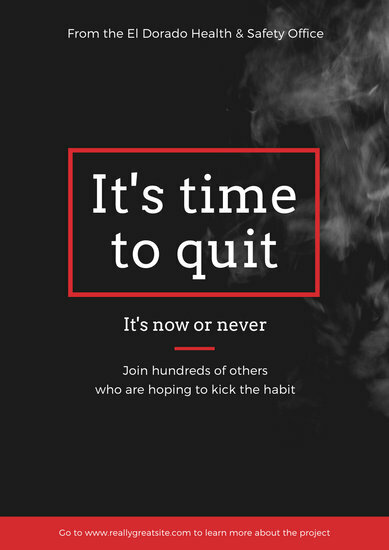 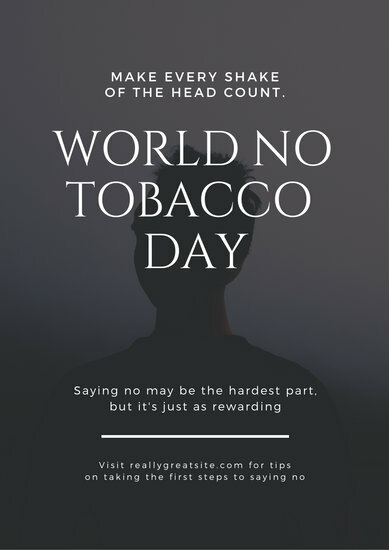 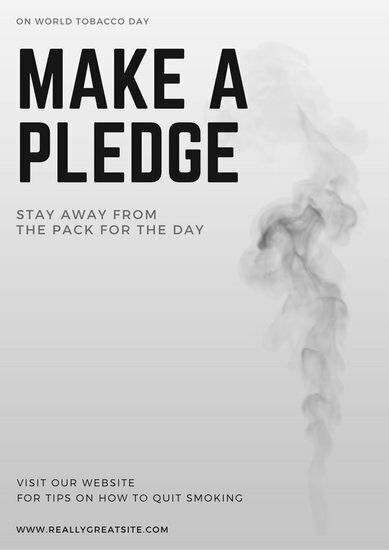 If you're planning a conference for World No Tobacco Day, make use of Canva's professionally designed poster templates to promote it in a unique and creative way. 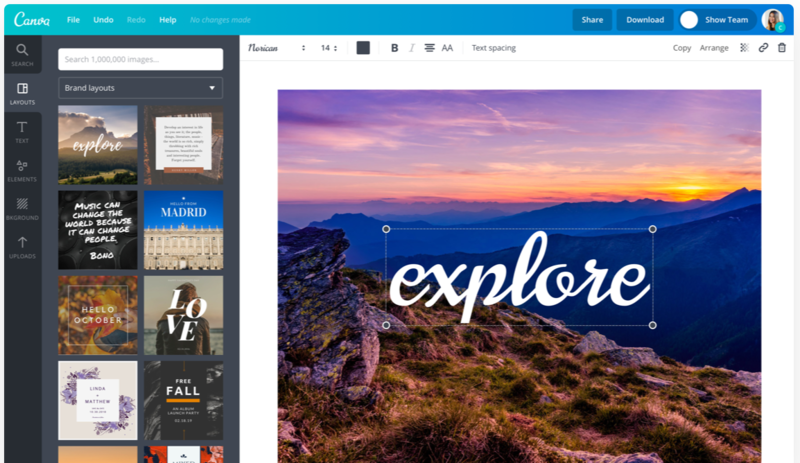 Use Canva's editing tools to change the background, colors, borders, and other design elements to fit the theme you have in mind. 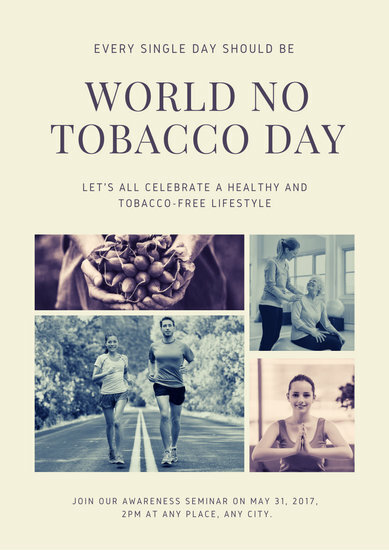 Whether you're organizing a marathon or simply listing down the harmful effects of using tobacco, it definitely helps to add images and illustrations you can easily retrieve from Canva's growing media library. 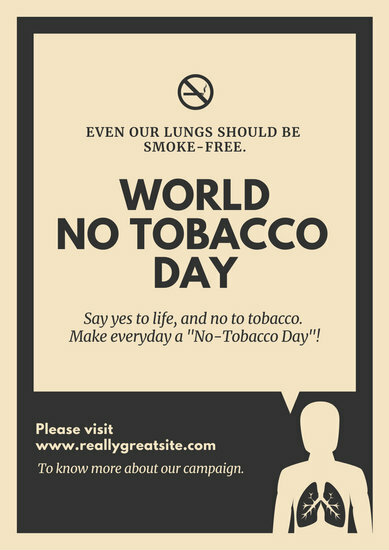 You can also upload your own photos to include in your design by using the quick and convenient drag-and-drop option. 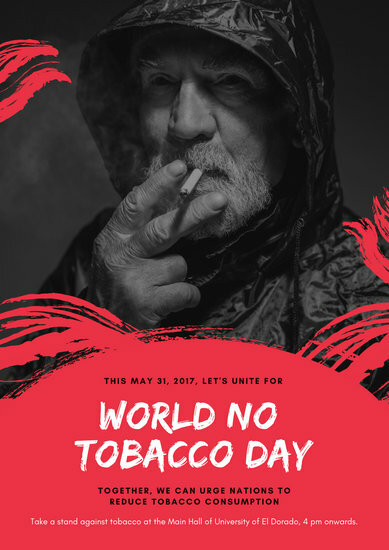 Choose from over 130 fonts and add the important details of your event with the help of Canva's text editor. 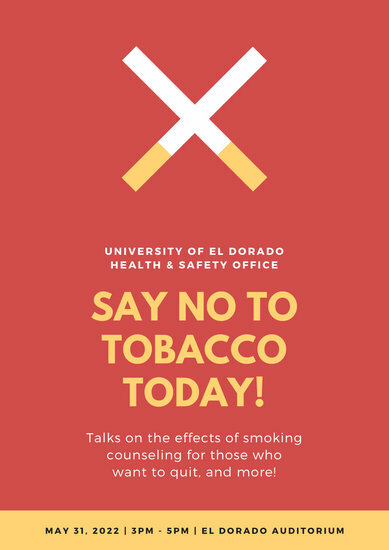 Let people know how they can veer away from bad habits involving tobacco by listing down health tips and using related icons. 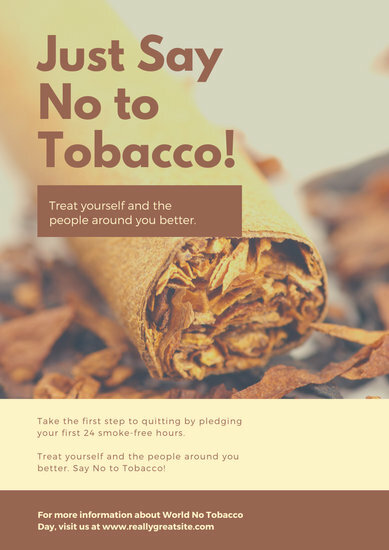 Print and put up your poster up on every wall or upload it on Facebook, Twitter, and other social media sites to reach a wider audience!